The following features are also available free of charge! Offering worldwide coverage, SeaZone HydroView Charts are digitised and geo-referenced paper charts for GIS display, human interpretation and contextual mapping. These raster map layers enable quick use background mapping for a range of applications on the desktop and internet where the importance is speed and cost. HydroView Charts can be combined with your own datasets to make the display and dissemination of maps within reports or over the Internet simple and effective. 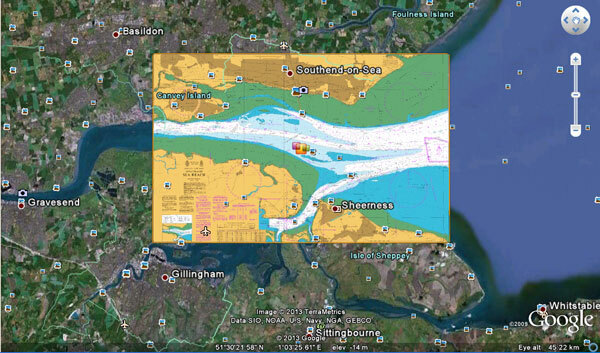 SeaZone HydroView Charts are based on scanned and geocoded images of Admiralty Charts and are available for immediate use in Geographic Information Systems, without the need for additional software, add-ons or plug-ins, resulting in gains in time and performance.